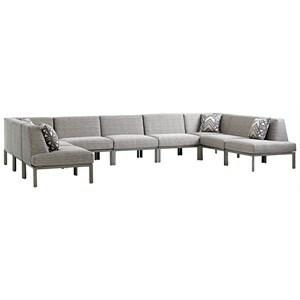 Sofas with curves and unique angles are trending this year for indoor spaces, but this two piece sectional sofa proves to be just as stunning in your outdoor space. 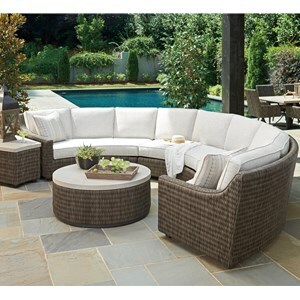 It features exclusive Weatherguard cushions. 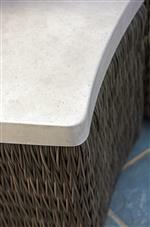 These incredible cushions combine the soft support and comfort of indoor cushions with superior weatherproofing for superb outdoor seating. 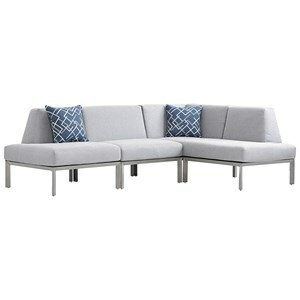 The sofa seats four comfortably, but can seat up to six at a busy gathering. 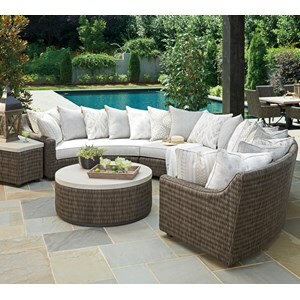 The result will be a truly unique outdoor entertainment space that rivals the plush comfort of your living room sofa. 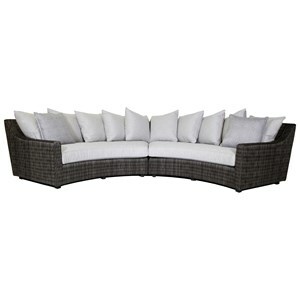 The Cypress Point Ocean Terrace 4 Seat Outdoor Curved Sectional Sofa with Weatherproof Box Cushions by Tommy Bahama Outdoor Living at Howell Furniture in the Beaumont, Port Arthur, Lake Charles, Texas, Louisiana area. Product availability may vary. Contact us for the most current availability on this product. 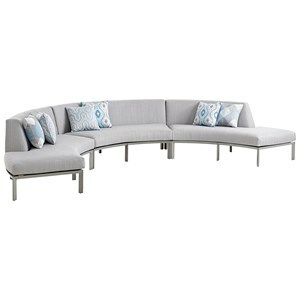 3900-82R RAF Curved Sofa Frame 1 0" 0" 0"
CS3900-82LB LAF Curved Sofa Cushion Set 1 0" 0" 0"
3900-82L LAF Curved Sofa Frame 1 0" 0" 0"
CS3900-82RB RAF Curved Sofa Cushion Set 1 0" 0" 0"
The Cypress Point Ocean Terrace collection is a great option if you are looking for Casual Outdoor Furniture in the Beaumont, Port Arthur, Lake Charles, Texas, Louisiana area. 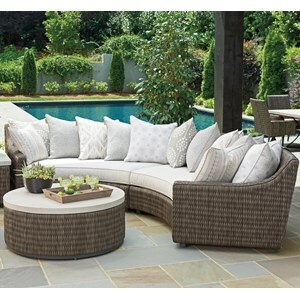 Browse other items in the Cypress Point Ocean Terrace collection from Howell Furniture in the Beaumont, Port Arthur, Lake Charles, Texas, Louisiana area.